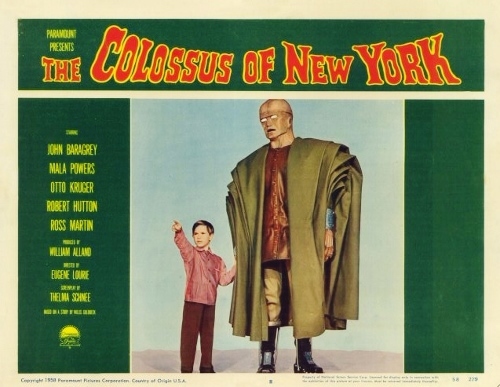 She wrote screenplays for two episodes of Science Fiction Theatre: “The Negative Man” (story by Ivan TORS) (1955), “The Throwback” (1956); and for the movie The Colossus of New York (story by Willis Goldbeck) (1958). She acted in “The Devil in Glencairn” (1951), episode of Lights Out and co-produced, with Paul Finder Moss, Ant City (documentary short) (1950). 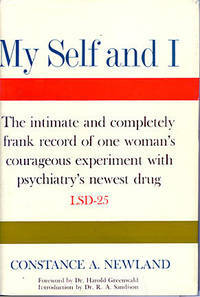 Schnee ingested LSD as a participant in experimental therapy and wrote a book about her experiences, My Self and I (1962), using the pseudonym Constance A. Newland. Then, she may have recalled the conclusion of “The Negative Man”: having lost his improved senses, the hero resolved to go back to college so he could further research the mysteries of the human mind. 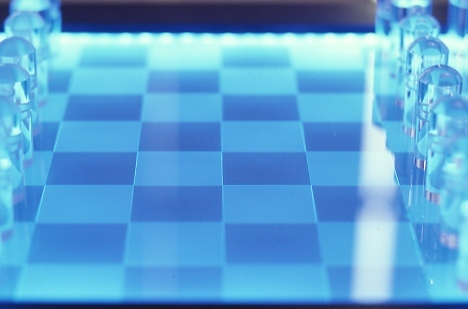 And Schnee, now calling herself Thelma Moss, did exactly the same thing, eventually earning a Ph.D. from the Psychology Department of the University of California, Los Angeles, where she also was given a position as a full-time professor. 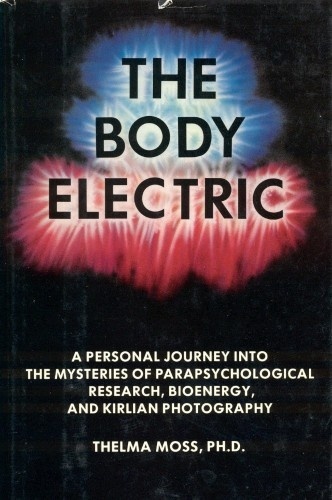 Further, while heading a facility dedicated to parapsychology, she chose to specialize in studying the very stuff of science fiction—psychic powers, ghosts, and astral projections recorded by Kirlian photography. 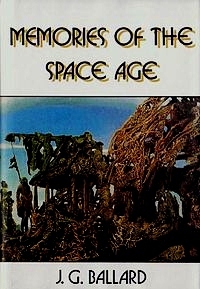 Perhaps these investigations into occult matters represented her effort to reconnect with her late husband, though unlike the heroes of science fiction, she never achieved definitive proof of these phenomena, and while she was a well-respected researcher in the 1970s, her area of expertise is now relegated to the status of pseudoscience. Yet she still commands attention because she effectively gave up writing science fiction in order to prove that science fiction was true. Born Thelma Schnee, a native of Connecticut, she graduated from Carnegie Tech, and originally pursued a career in acting and in writing scripts for film and television. She was one of the earliest members of The Actors Studio; as a scriptwriter, her biggest success was the screenplay for the 1954 Alec Guinness film Father Brown. And finally, a link to her rare, hard-to-find book, Myself and I (1962) at Biblio.com. 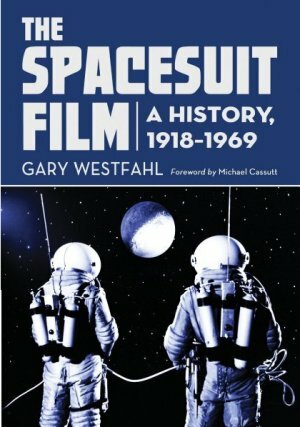 As the subtitle to this volume indicates, Westfahl will venture back almost to the dawn of cinema to examine the presence of spacegear in films as the defining touchstone of a certain sensibility and focus. 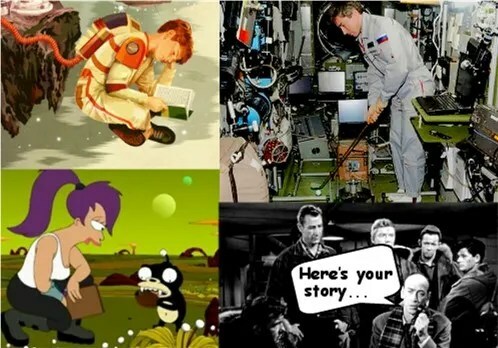 But before then, in an amusingly named preface, “Pre-Flight Briefing,” he outlines with great clarity the reasons why he feels the spacesuit is the defining motif of a certain serious-minded speculative vision. His insights, I find, represent a very clever and striking perception and distinction not previously noted or vocalized by critics within the field. Westfahl convinces the reader at once that his theme is valid. In looking for illustrations for the above collage, I came to realized just how right Westfahl is. It wasn’t easy to find examples of exceptions. One of my pictures shows a pet that is clearly not a cat or dog, and the picture of the kid reading a book is the closest thing I could find to someone in the future thinking about their future, and I admit that it’s a stretch. 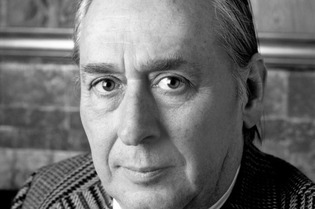 Some time ago, I wrote about my wish to learn more about Ali Mirdrekvandi, whom I first heard about from Gary Westfahl, and several people got into the discussion. A few days ago, someone with a website called ShahreFarang dropped in to Bill Ectric’s Place to post this link about Mirdrekvandi from the Encyclopaedia Iranica. 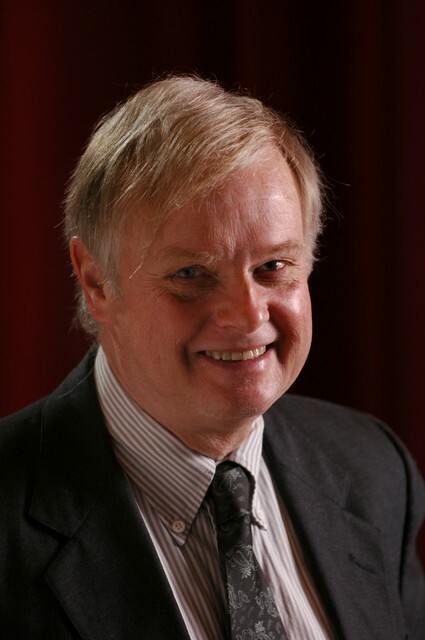 Over at World of Westfahl, Professor Gary has a relatively new entry in his Biographical Encyclopedia of Science Fiction Film. 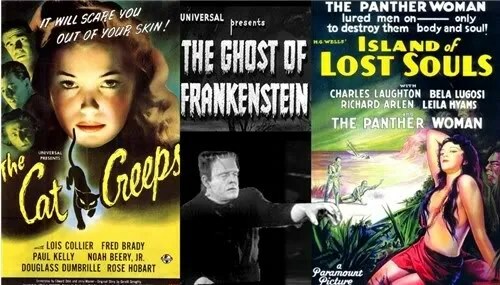 This one is on film director Erle C. Kenton, whose credits include A Haunted House (short) (1922), Island of Lost Souls (1932), The Ghost of Frankenstein (1942), House of Frankenstein (1944), House of Dracula (1945), and The Cat Creeps (1946).